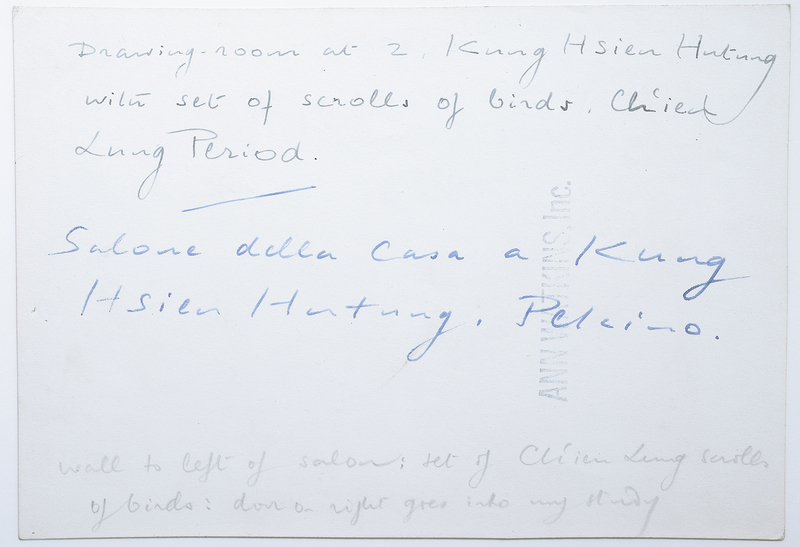 Within the Acton Collection of Villa La Pietra, there are numerous Chinese objects, some of which were collected by Harold Acton. 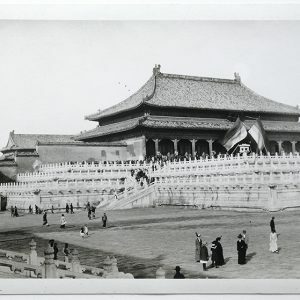 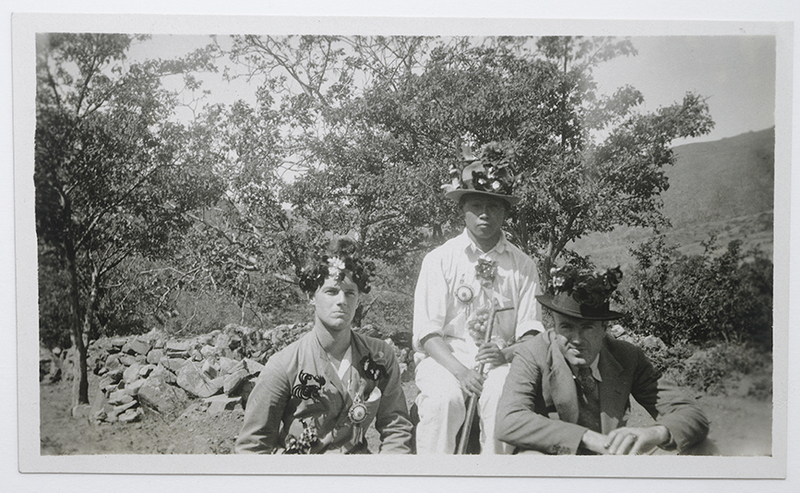 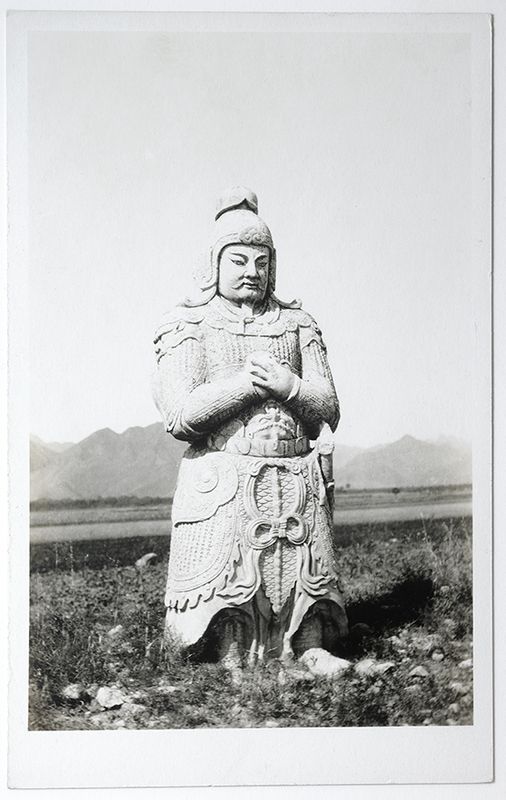 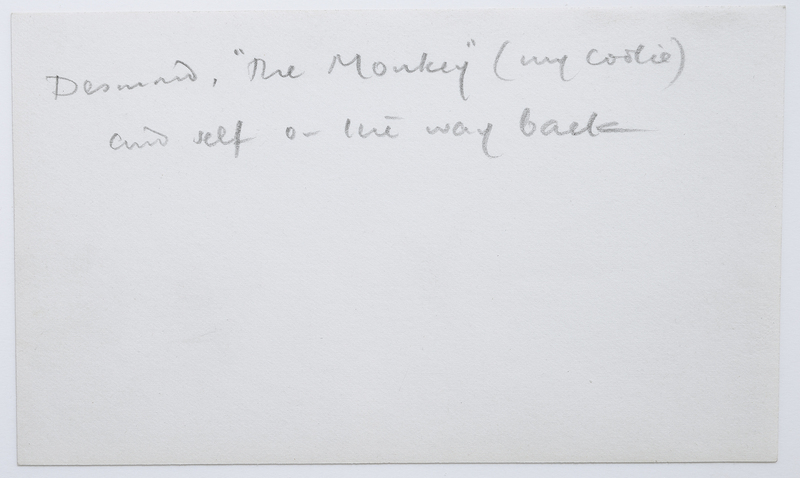 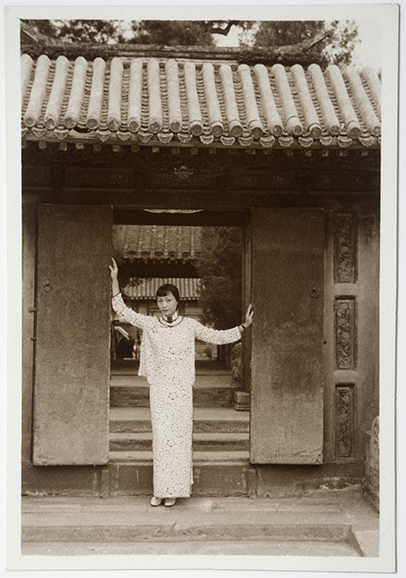 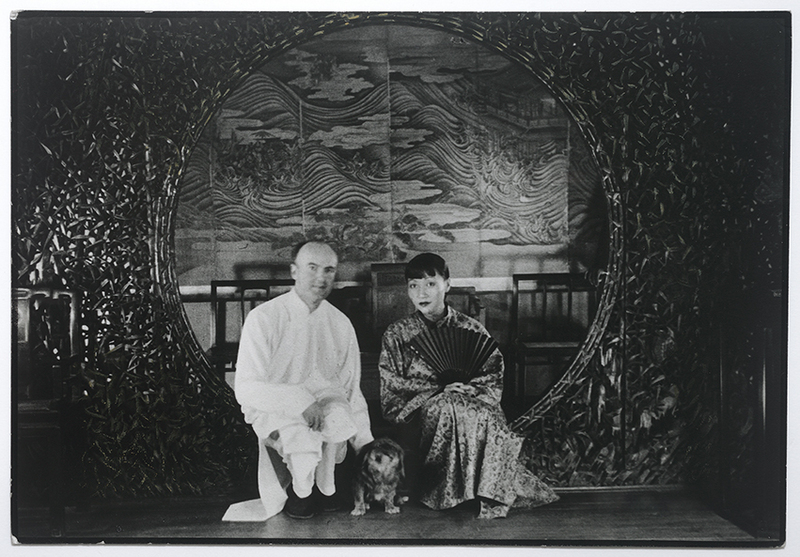 In addition there are a group of over nine hundred photographs recording Harold Acton’s life in China during the 1930s. 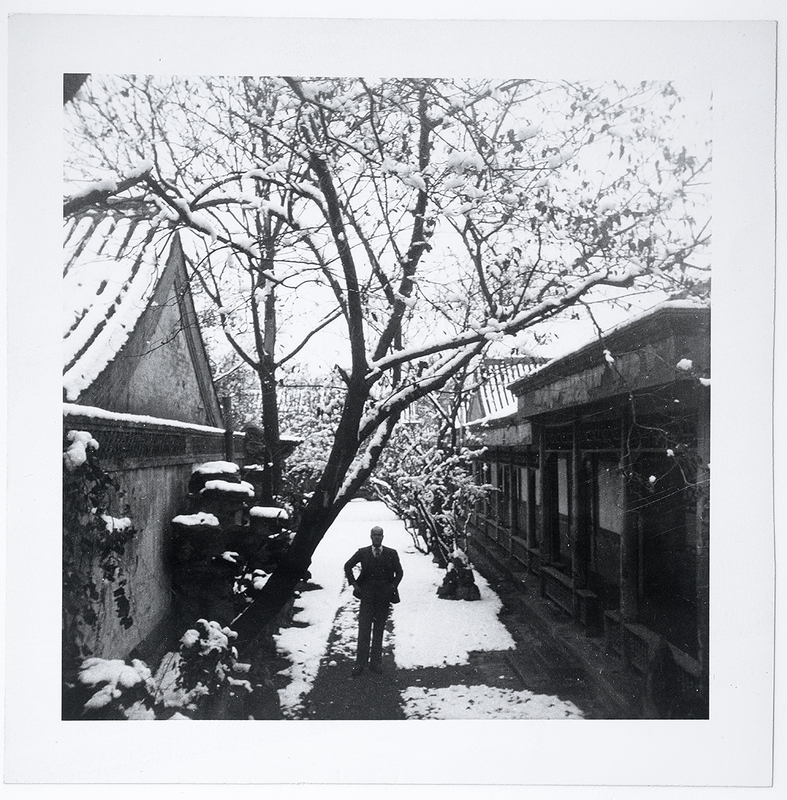 He visited China at the beginning of the 1930s and lived in Beijing for seven years from 1932 until June 1939. 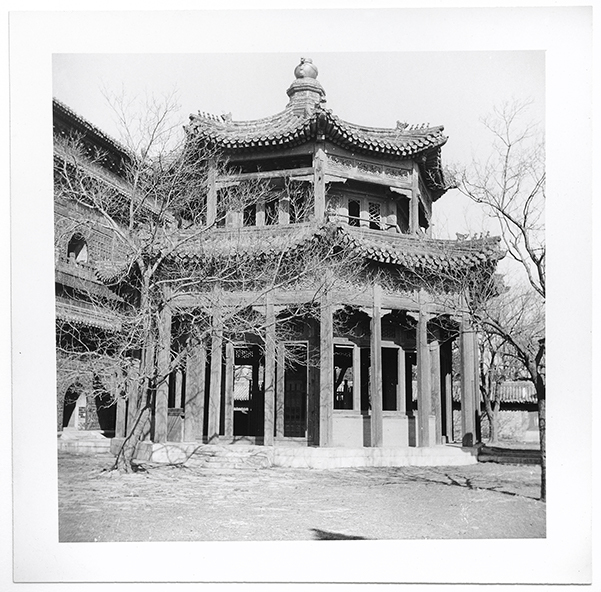 Acton had a traditional Chinese courtyard residence, called Si He Yuan at Gong Jian Hutong, within the aristocratic quarter in Beijing. 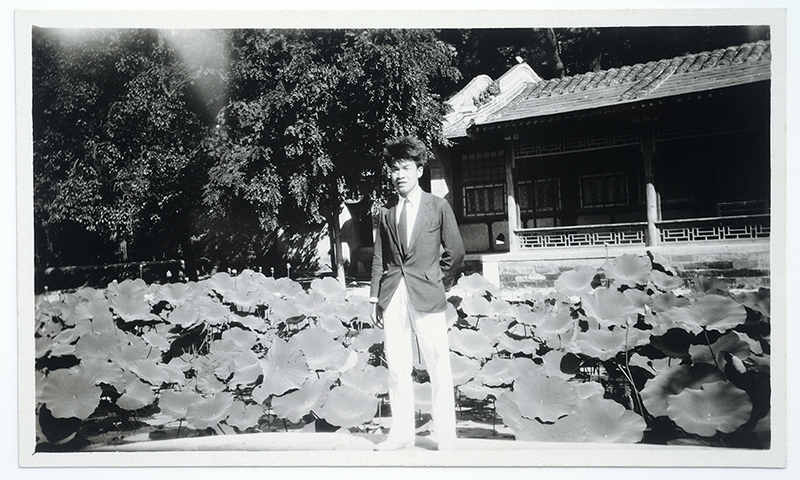 During these years, he was invited to teach English literature in the Peking National University, the oldest institution of its kind in China, founded in 1897, where he became acquainted with many important Chinese literary figures in the “New Poetry” movement. 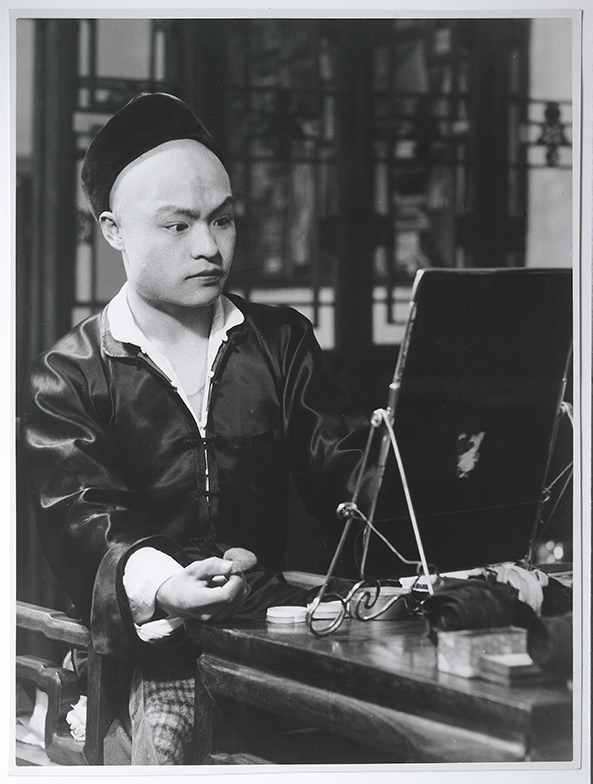 His love for Chinese culture and literature led him to translate many famous Chinese literary works into English, such as Modern Chinese Poetry (1936), Famous Chinese Plays (1937) and The Peach Blossom Fan (1976). 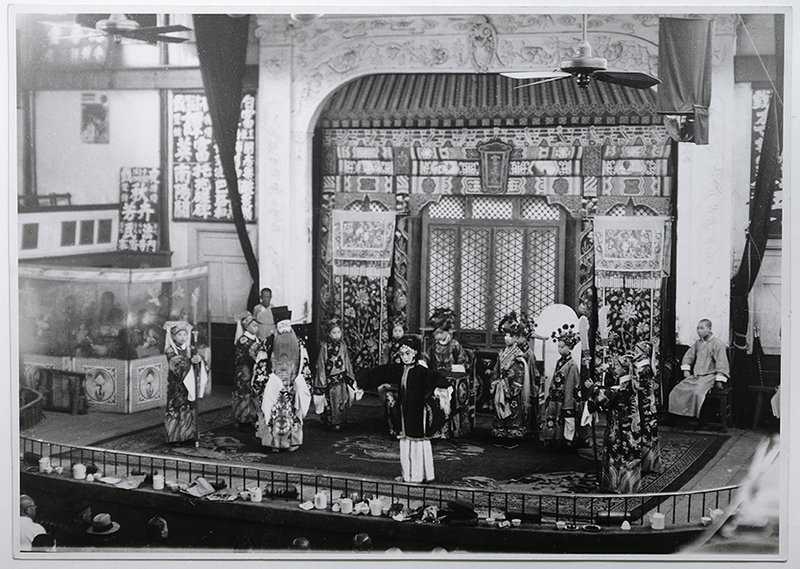 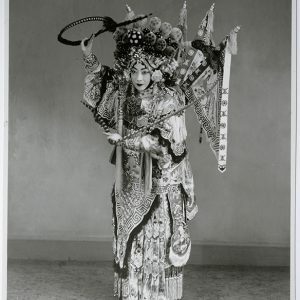 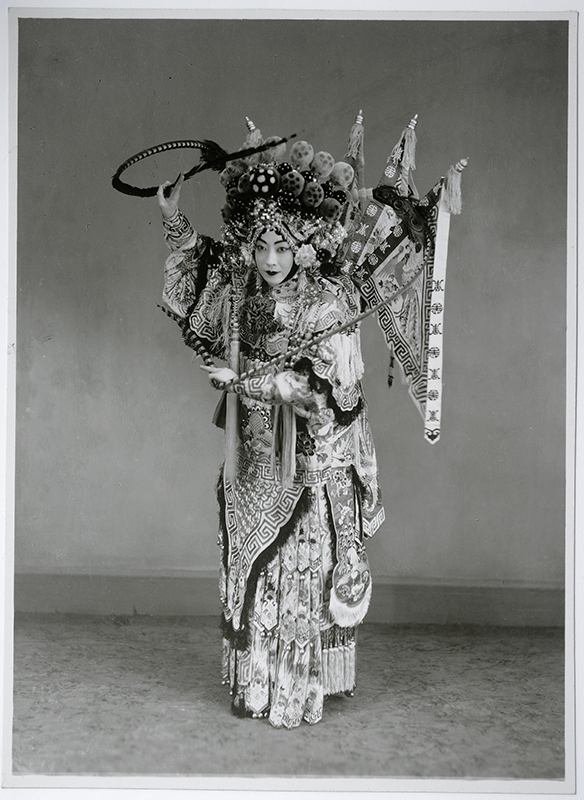 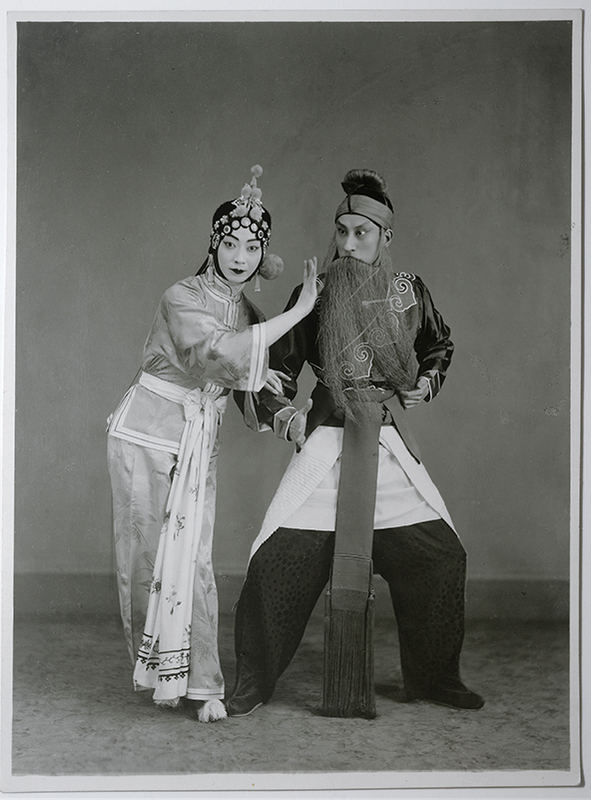 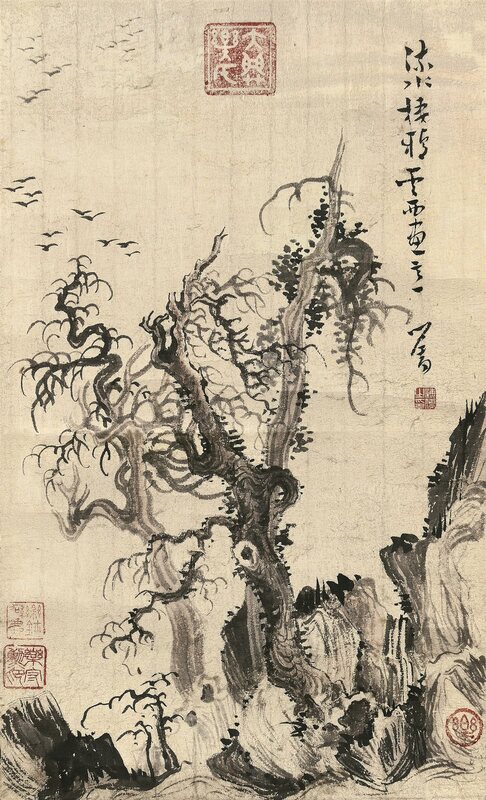 In addition to Chinese literature, Harold was also interested in other forms of Chinese art and culture, such as the “Peking Opera.” He studied Chinese painting with Aisin-Gioro Puru, one of the brothers of the last Chinese Emperor Pu Yi. 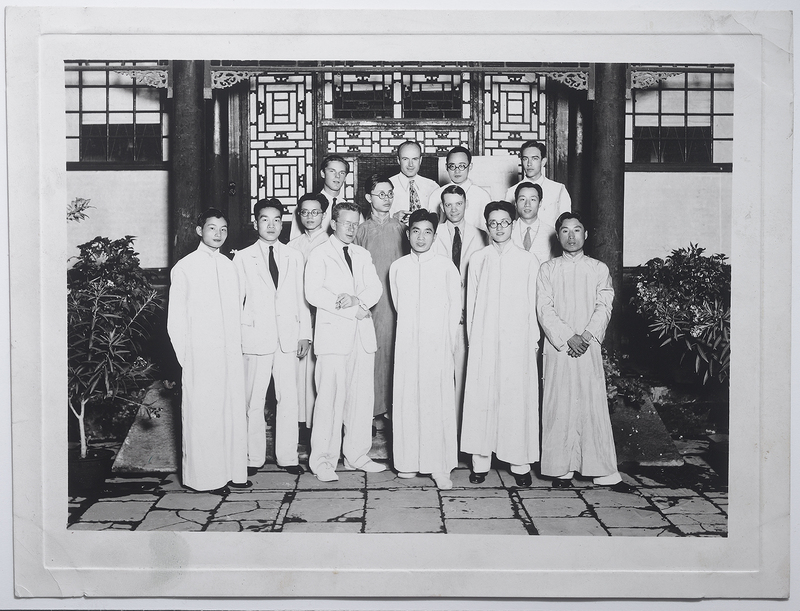 Through this photography exhibition, we get a glimpse of old Peking and Harold Acton’s experiences and acquaintances. 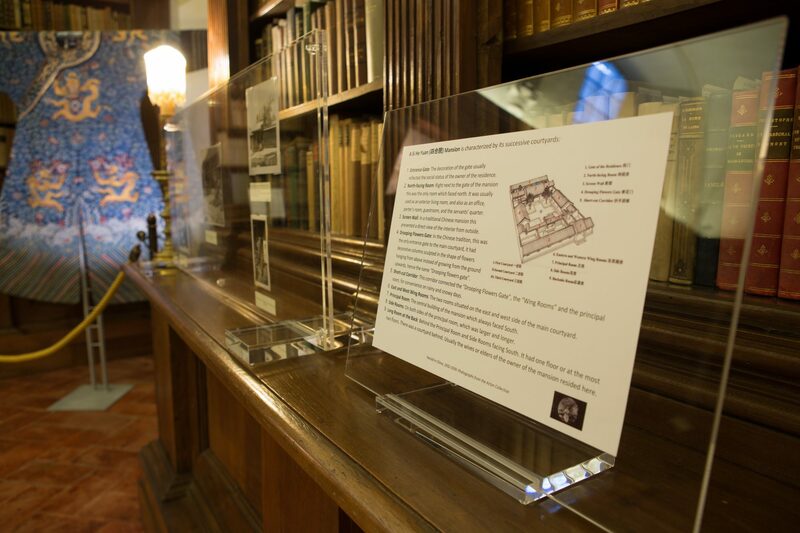 The research project conducted by Feiran Lyu was made possible thanks to the support of Julie Mostov, Dean of Liberal Studies, New York University. 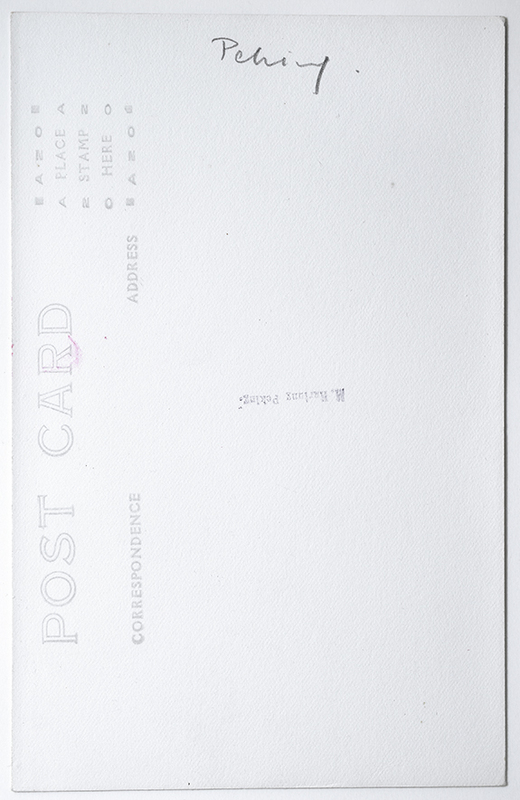 Special thanks to Alta Macadam for the editorial work and to Fall 2018 NYU students Ana Alvarez, Ariel Fishman, Michael Lee and Sofia Martinez for their contribution to the project. 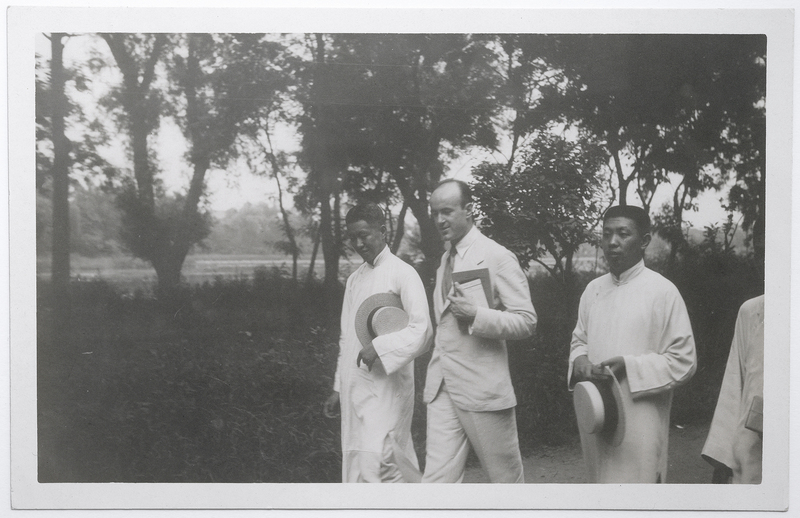 ‘A Solitary Flower’: Bachelordom and Harold Acton’s China. 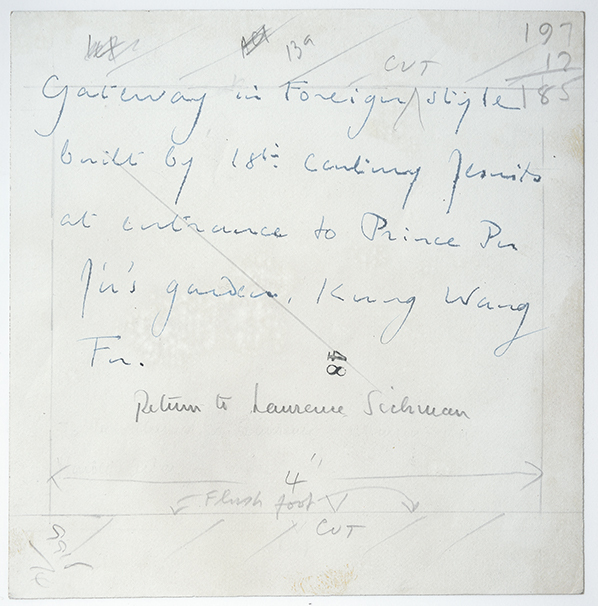 A documentary on the exhibition with an interview with Francesca Baldry, Acton Collection Manager, including a walk around the collection and garden. 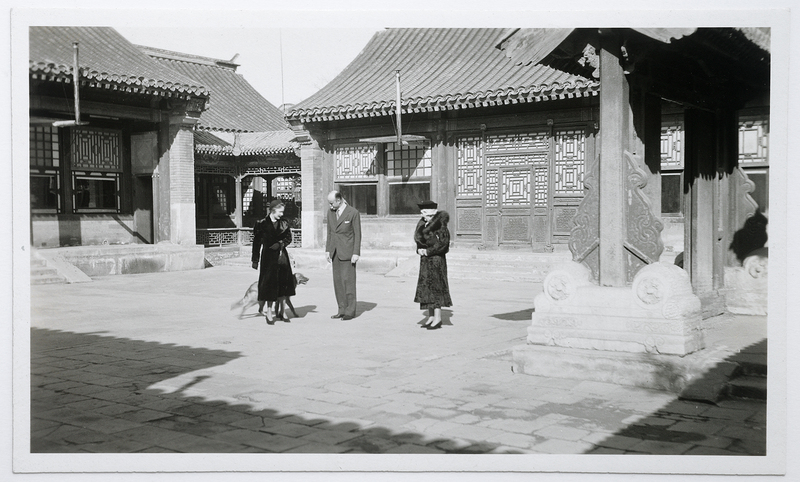 After living in a succession of temporary residences in Peking, in May 1936 Harold Acton purchased a Chinese mansion in a Hutong (alley) in the previous royal district, with the address 2, Kung Hsien Hutong (now called Gong Jian Hutong), where he lived until he left China in 1939. 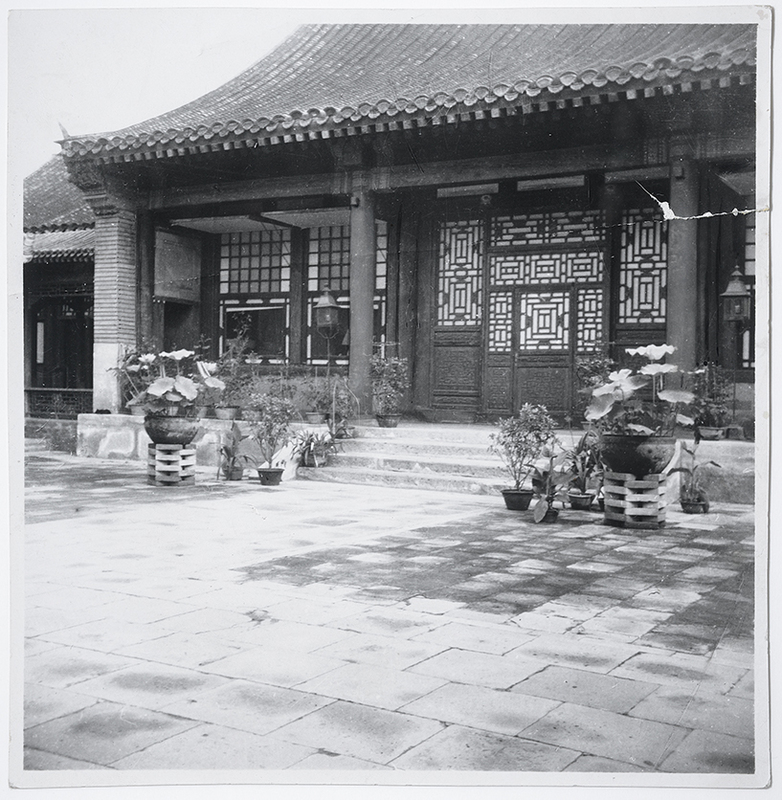 The mansion had three successive courtyards. 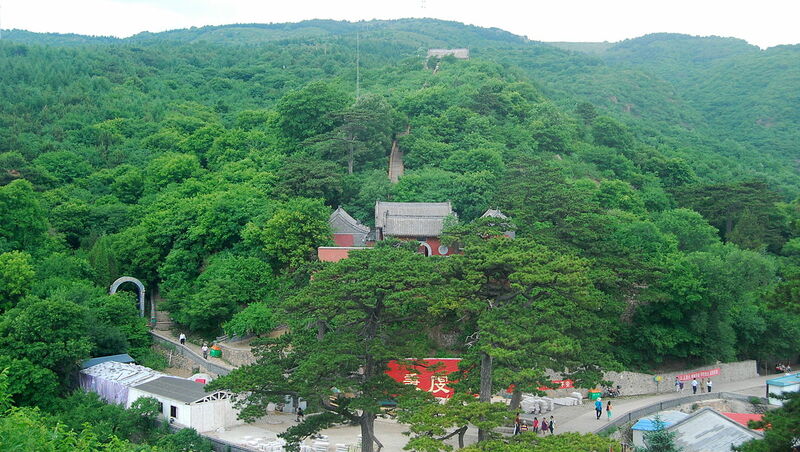 It was built during the Qing dynasty. 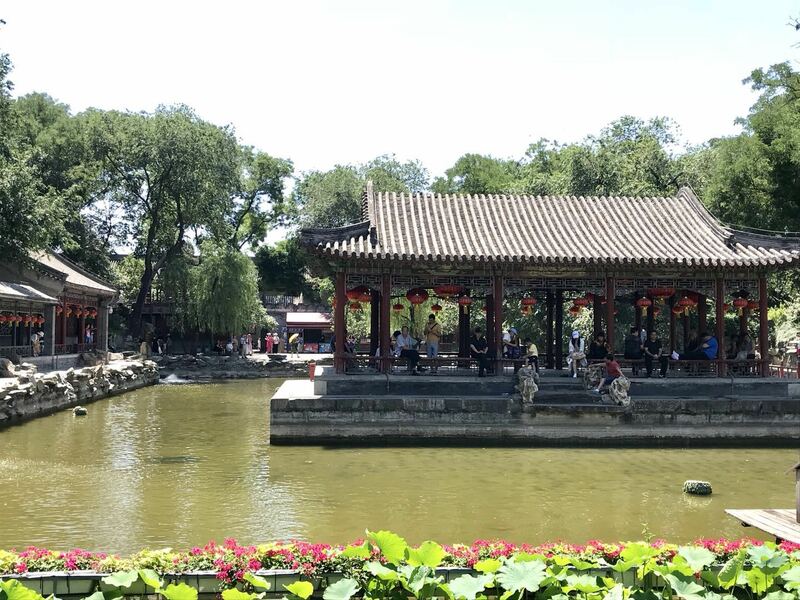 The Gong Jian Hutong（恭俭胡同) was initially built during the Ming Dynasty as the office area for the court eunuchs. 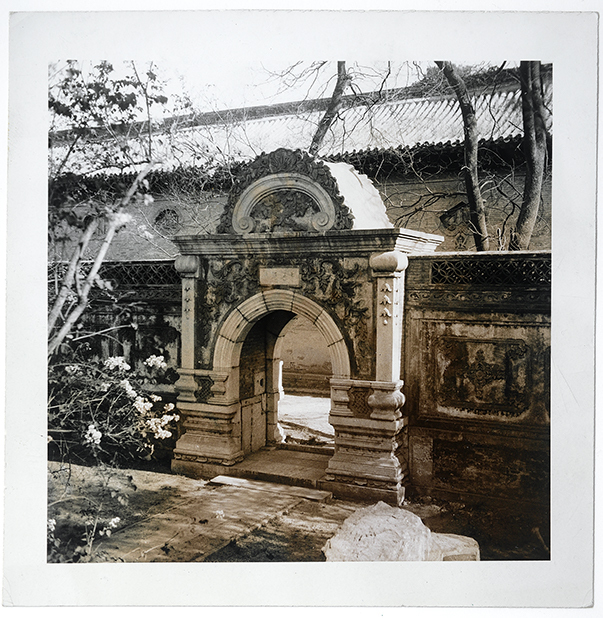 In the Qing dynasty this area consisted of five Hutong (alley). 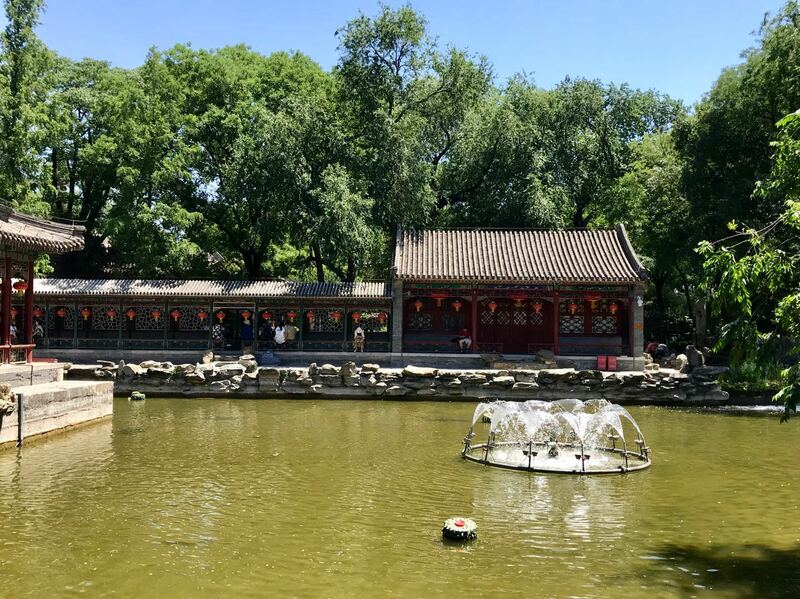 After the fall of the Qing Dynasty, this Hutong was the place where most of the intellectuals, aristocrats and prominent figures in Peking society gathered. 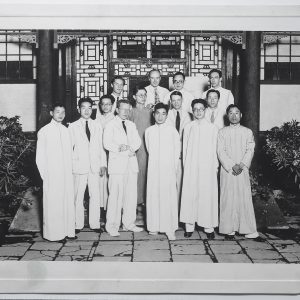 The prominent artist Qi Baishi, Prince P’u Ju, the cousin of the last Chinese Emperor and a friend of Harold Acton lived here too, as well as many famous Peking Opera actors. 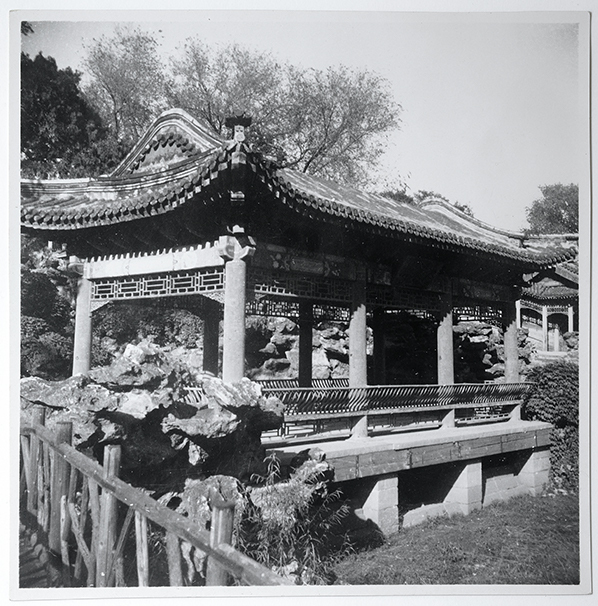 Entrance Gate: The decoration of the gate usually reflected the social status of the owner of the residence. 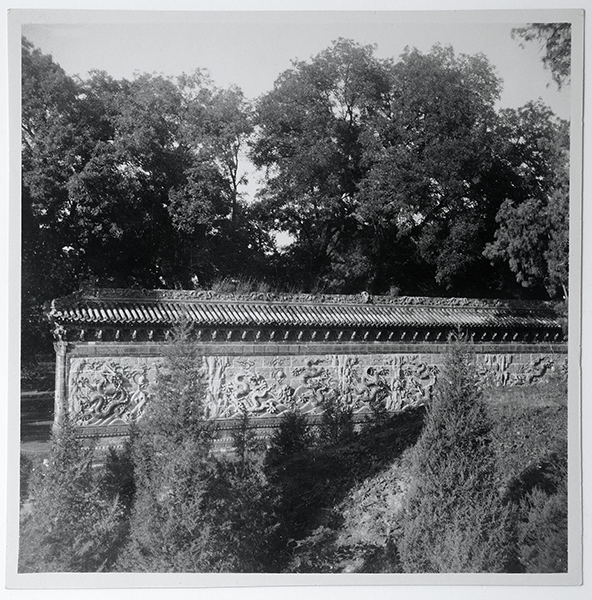 North-facing Room: Right next to the gate of the mansion this was the only room which faced north. 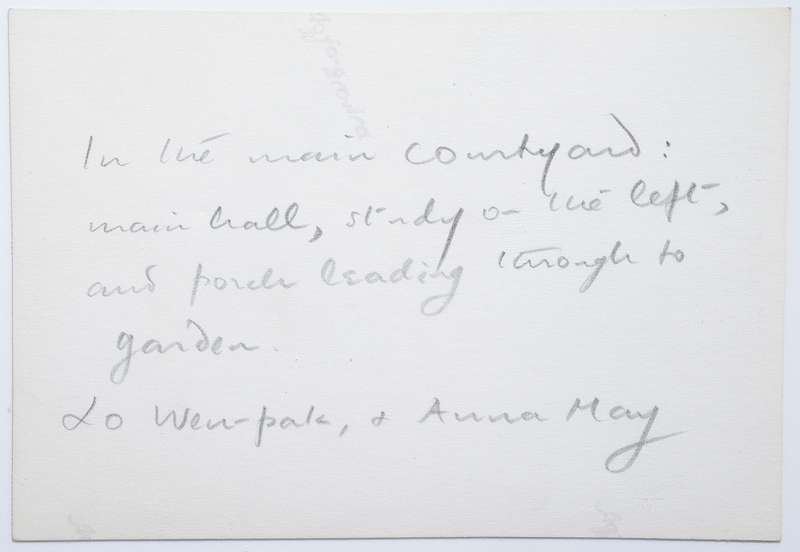 It was usually used as an exterior living room, and also as an office, porter’s room, guestroom, and the servants’ quarter. 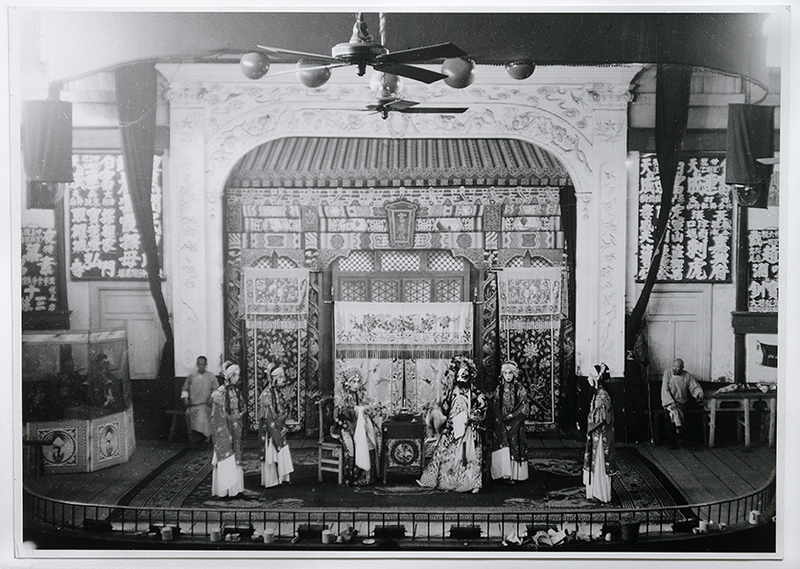 Screen Wall: In a traditional Chinese mansion this prevented a direct view of the interior from outside. 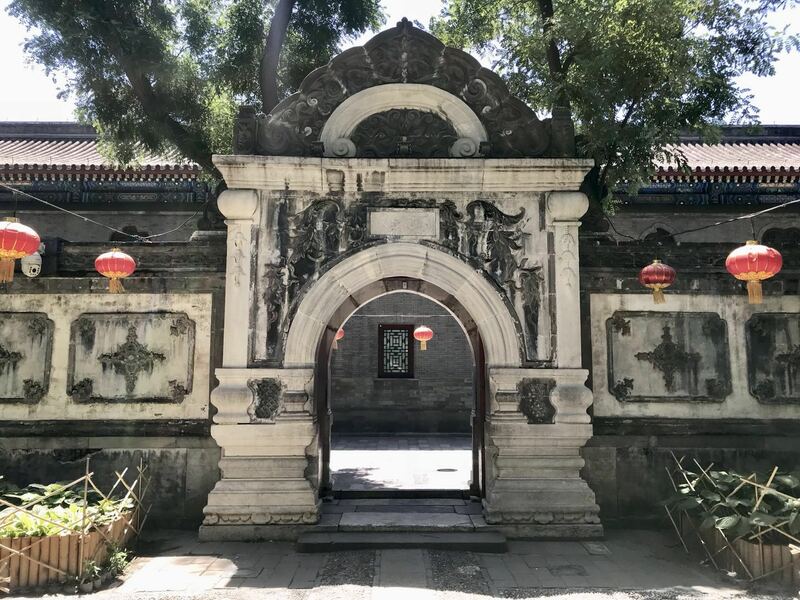 Drooping Flowers Gate: In the Chinese tradition, this was the only entrance gate to the main courtyard, it had decorative columns sculpted in the shape of flowers hanging from above instead of growing from the ground upwards, hence the name “Drooping flowers gate”. 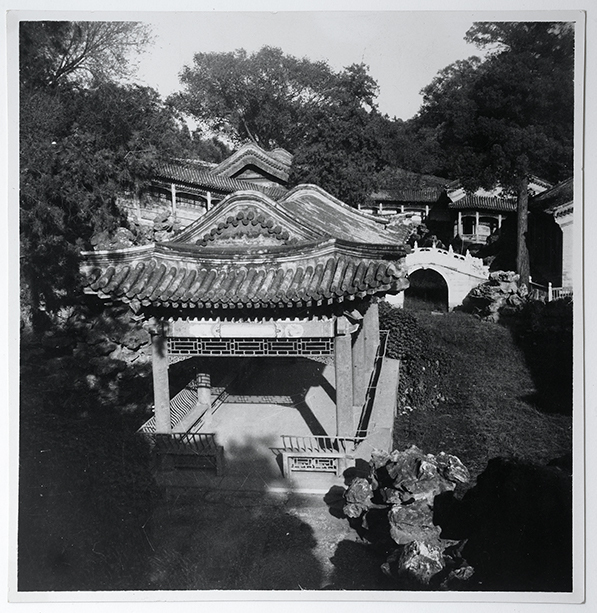 Short-cut Corridor: This corridor connected the “Drooping Flowers Gate”, the “Wing Rooms” and the principal room, for convenience on rainy and snowy days. 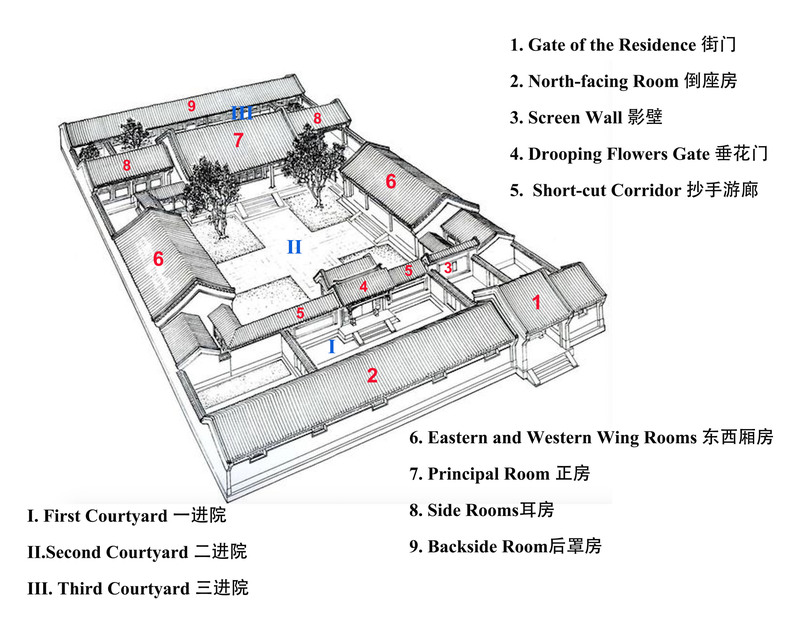 East and West Wing Rooms: The two rooms situated on the east and west side of the main courtyard. 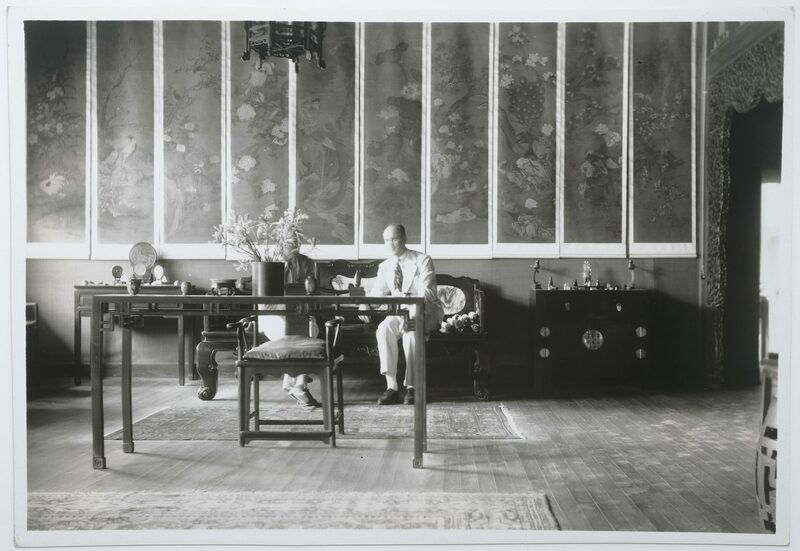 Principal Room: The central building of the mansion which always faced South. 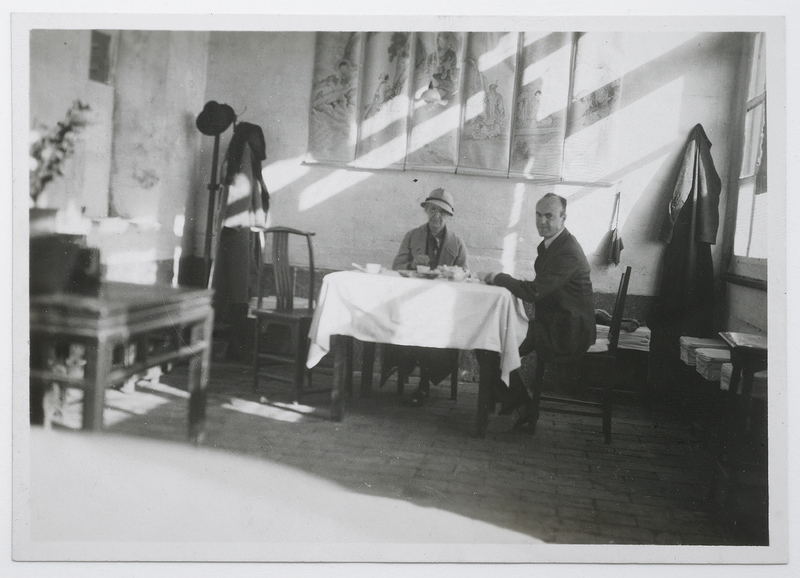 Side Rooms: On both sides of the principal room, which was larger and longer. 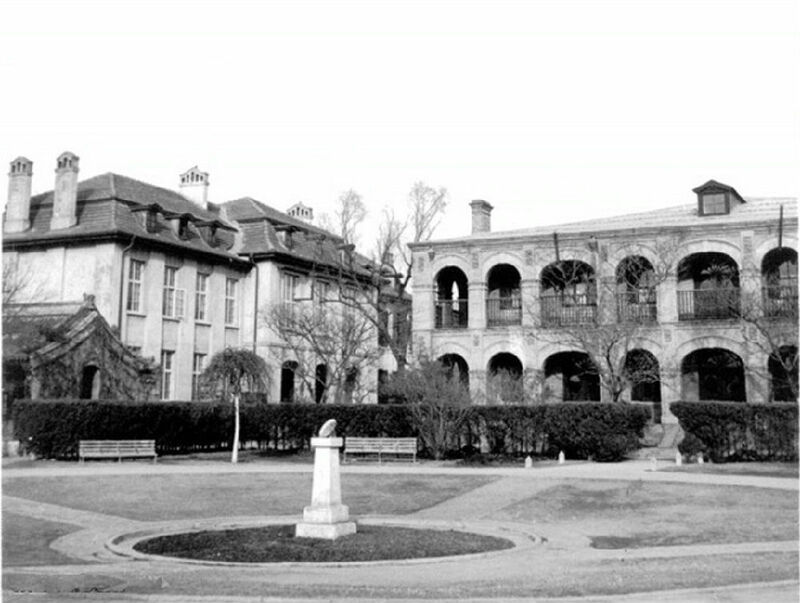 Long Room at the Back: Behind the Principal Room and Side Rooms facing South. 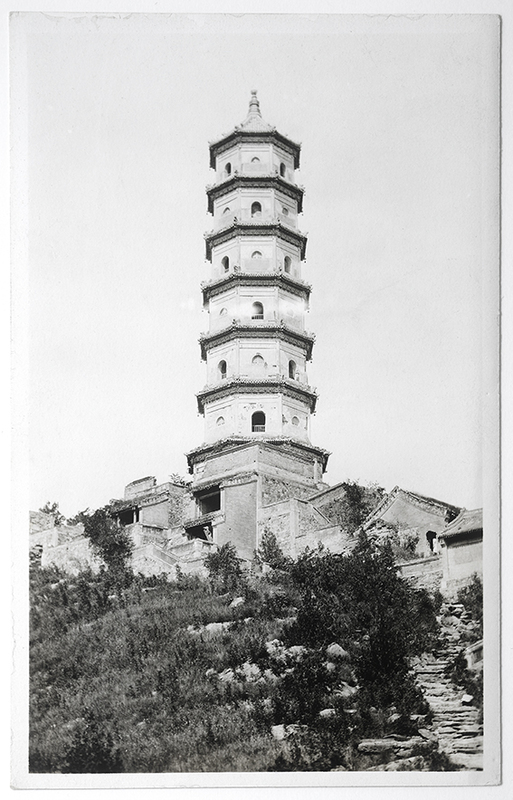 It had one floor or at the most two floors. 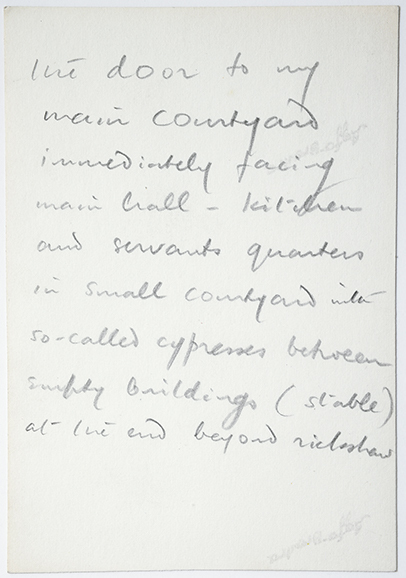 There was a courtyard behind. 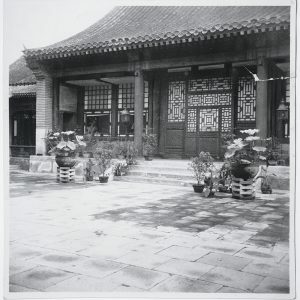 Usually the wives or elders of the owner of the mansion resided here. 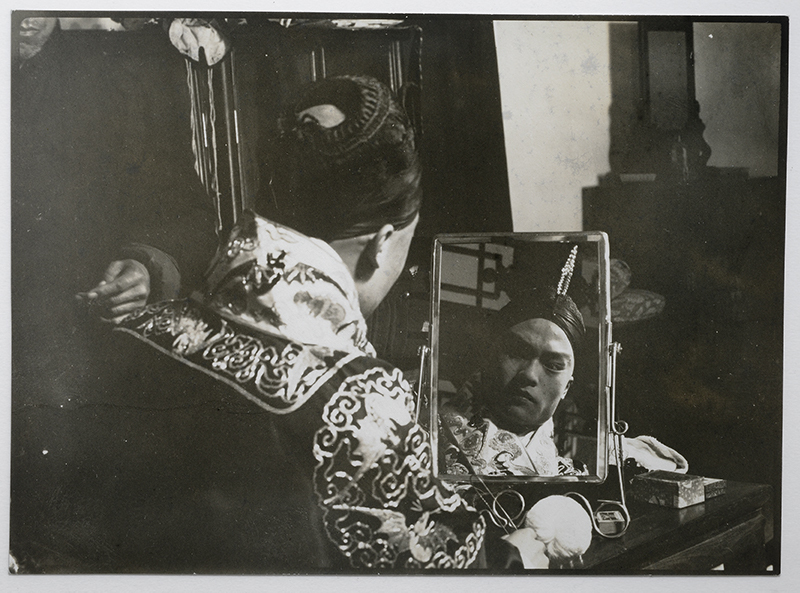 The 1930s is generally considered a ‘Golden Age’ in Chinese modern history. 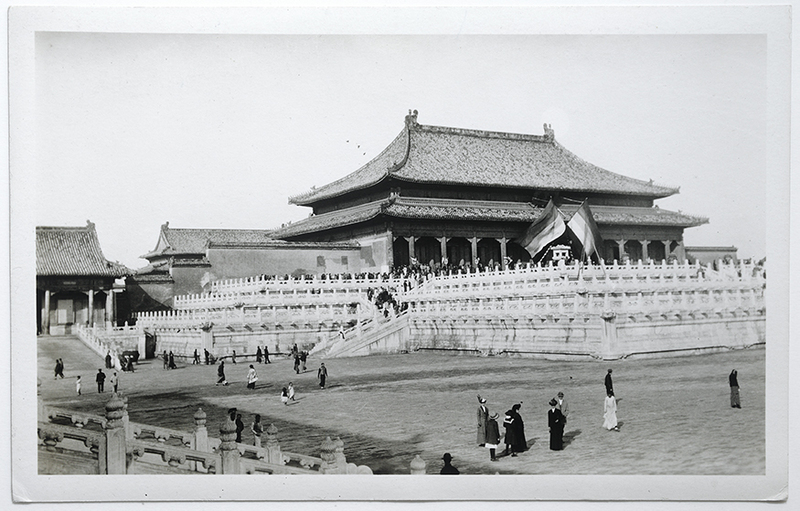 It was a period of rapid modernization, social and political change and educational reform. 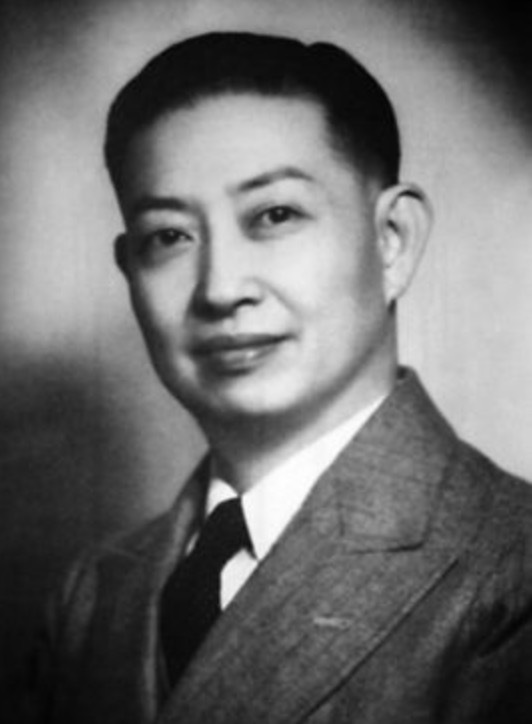 Hu Shi, philosopher, essayist and diplomat, was an advocate of Chinese liberalism and promoted language reform, and written vernacular Chinese. 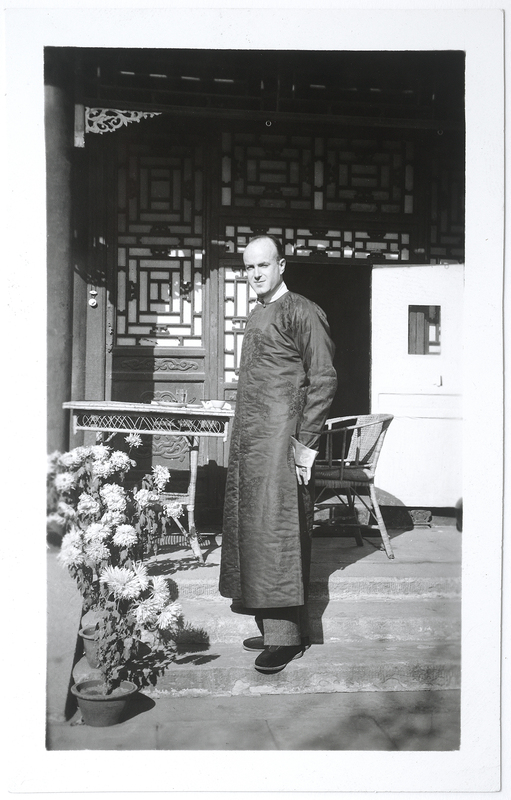 In 1929 he proposed “Wholesale Westernization”, an idea that was hotly debated in universities throughout the 1930s. 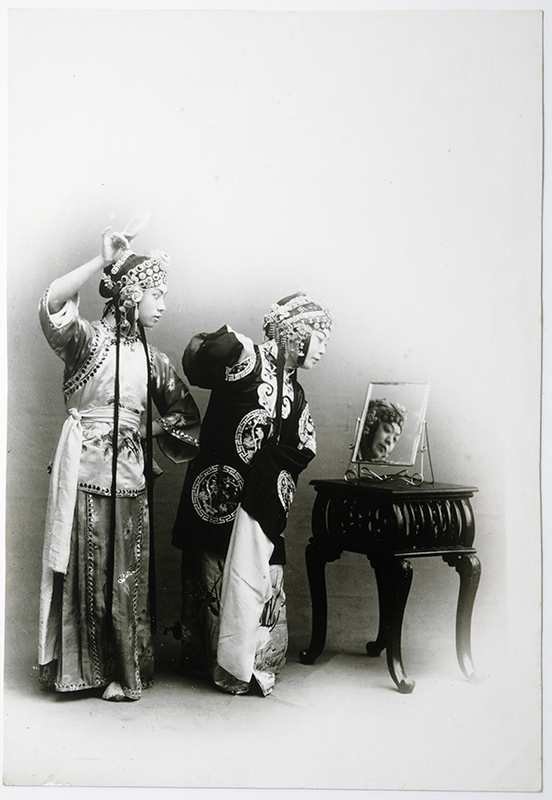 The New Culture Movement promoted cultural and educational exchange between the West and China. 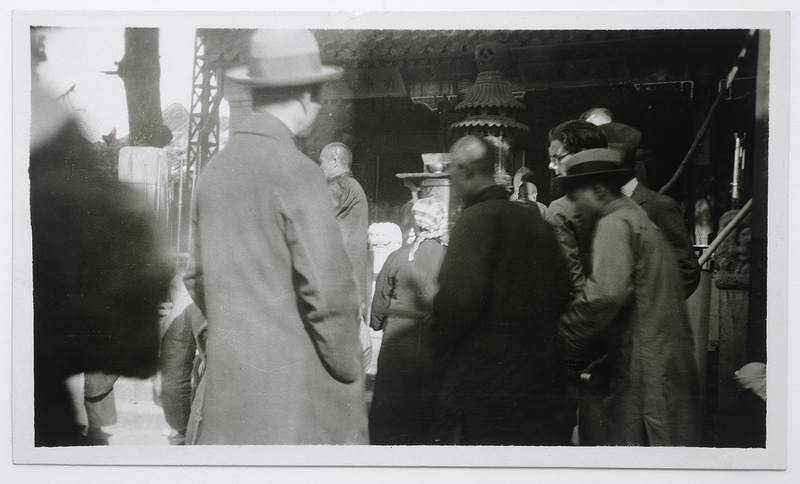 impression’, since no Chinese would walk who could avoid it.” (Memoirs of an Aesthete, 1948, p.331). 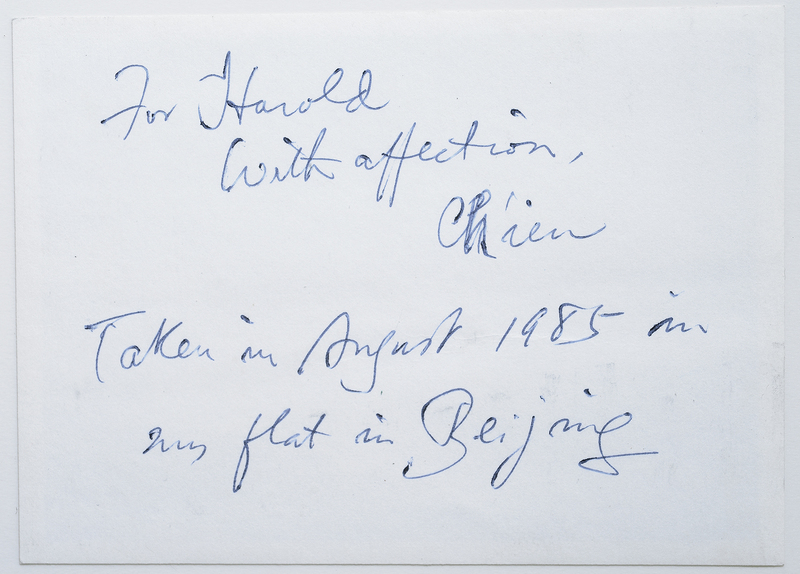 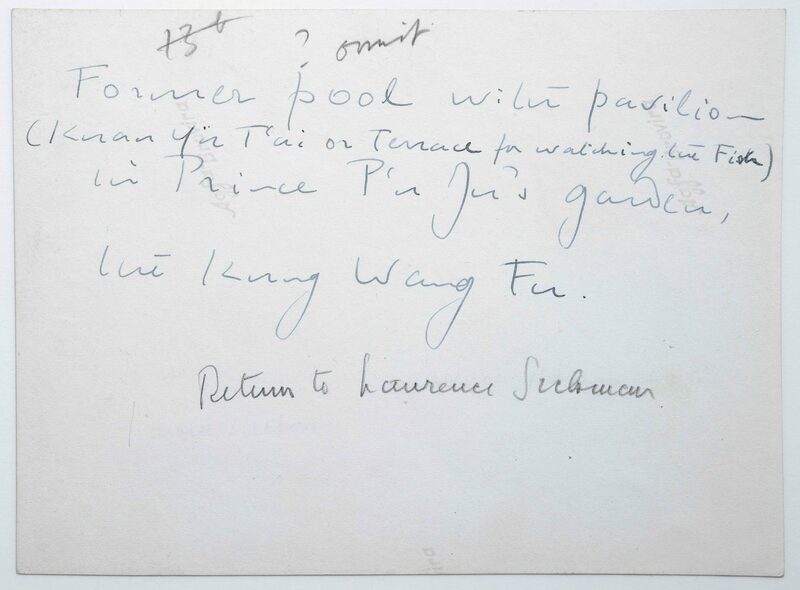 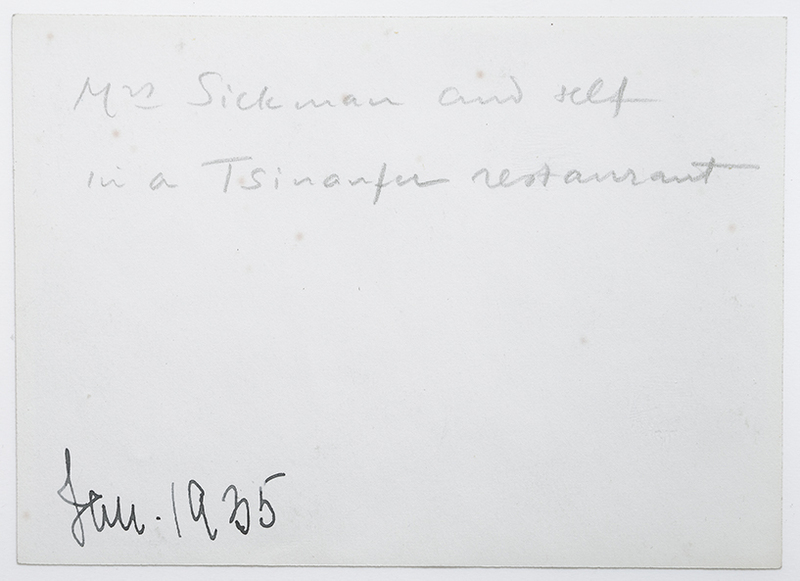 During Harold Acton’s time in PKU, he got to know Chen Shi-Hsiang (in Pinyin “Chen Shixiang” 陈世骧). 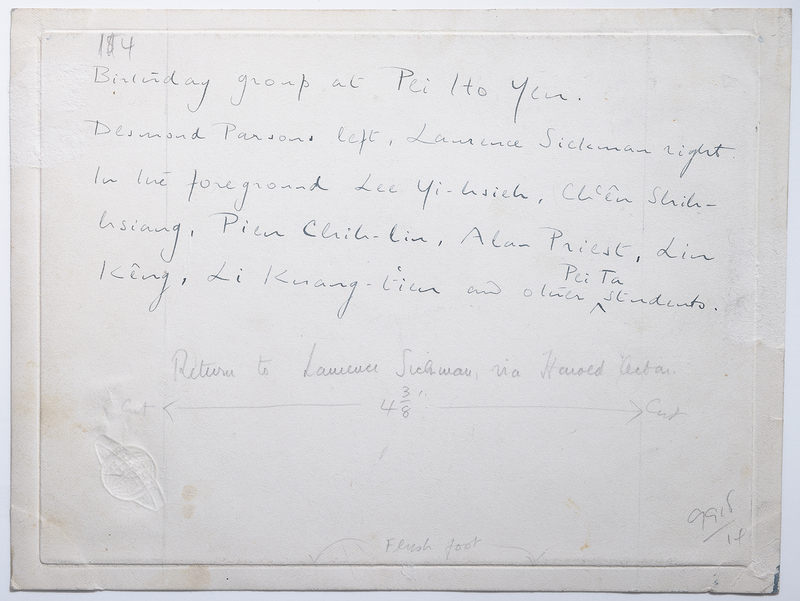 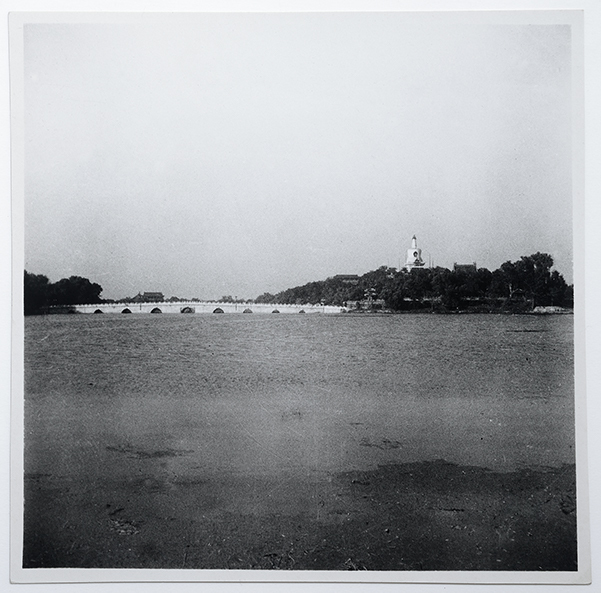 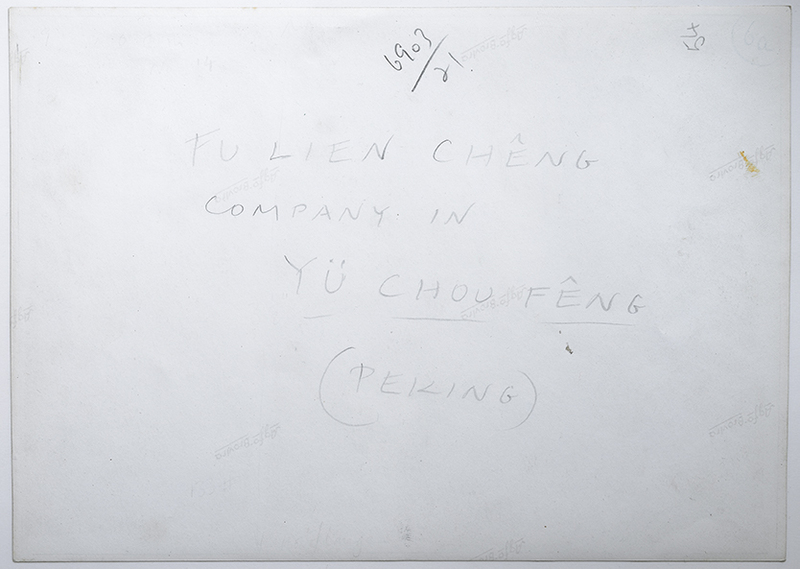 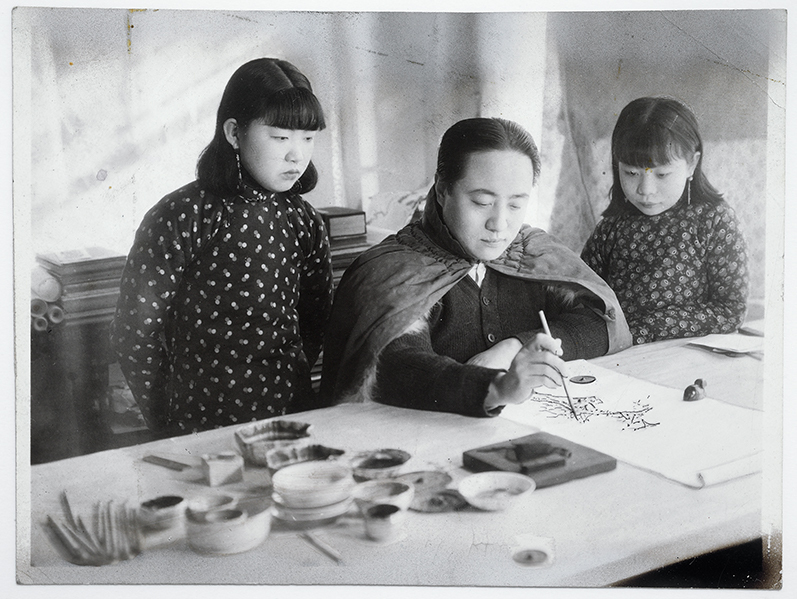 Chen was Acton’s student who graduated from PKU in 1932 and became a teacher there. 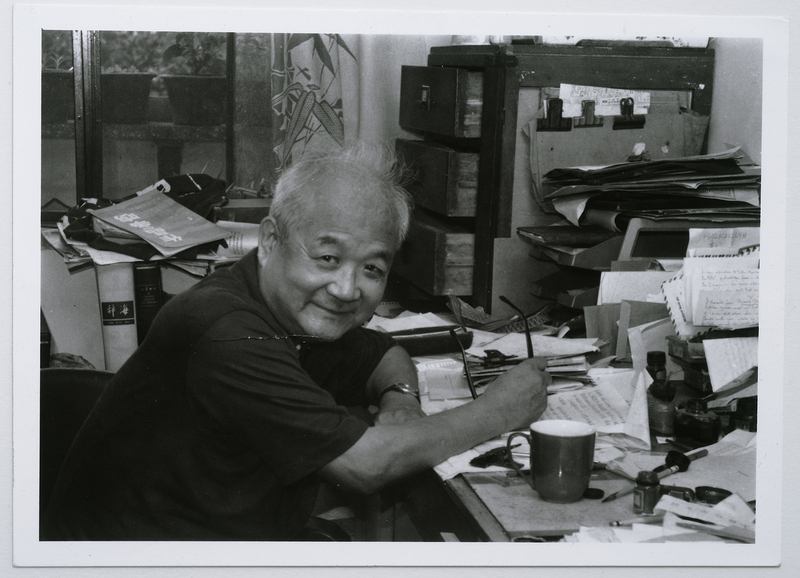 Later he went to the US and from 1945 taught at the University of California, Berkeley. 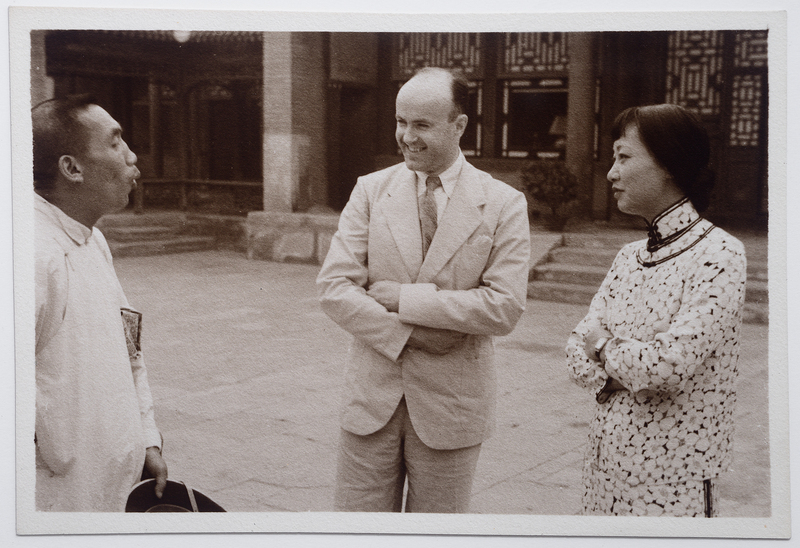 In 1936, Harold Acton and Chen Shixiang, published Modern Chinese Poetry, translations of the work of famous literary figures of the time. 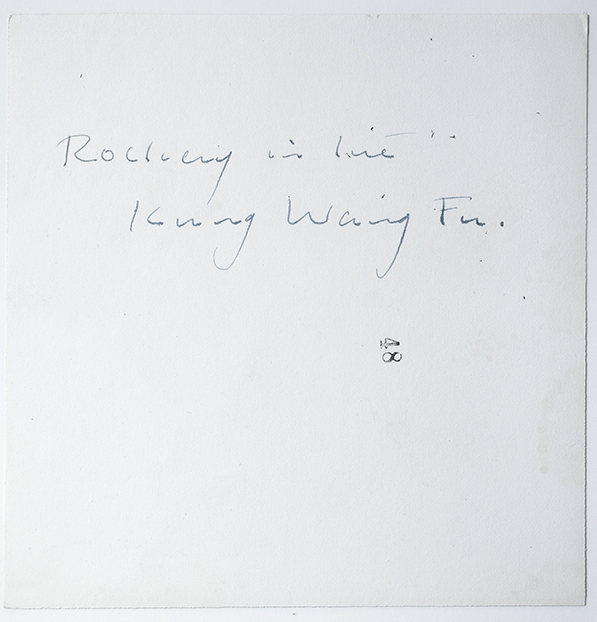 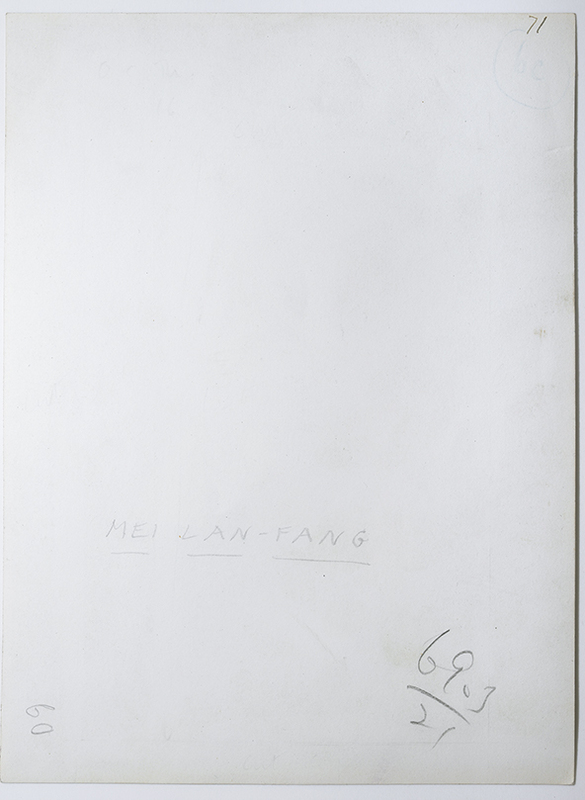 This was the first English edition of Chinese modern poetry. 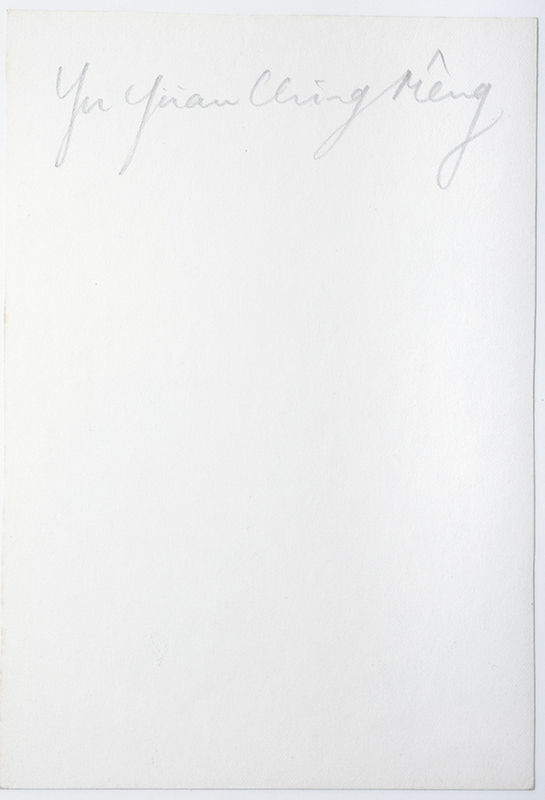 The book has an introduction by Harold Acton. 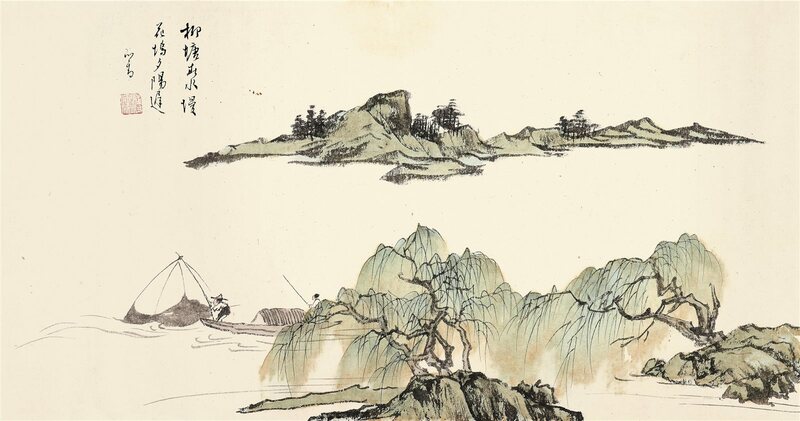 Other literary acquaintances at this time were: Fei Ming (废名) and He Qifang (何其芳), both of whom were protagonists of the “New Poetry” movement. 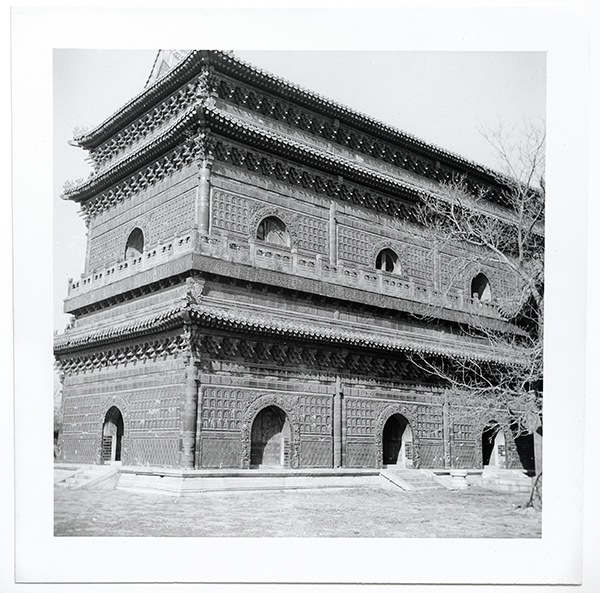 The photographs in this section are an illustration of the interest of Harold Acton for different places and architectures in Peking. 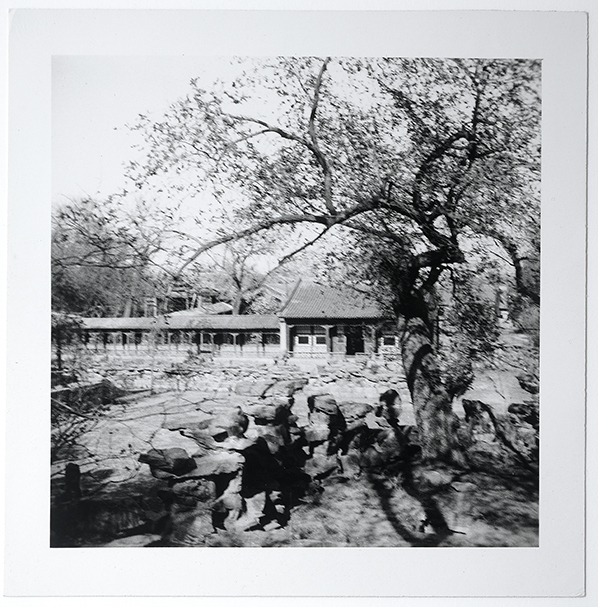 The most represented are the photographs dedicated to the Bei Hai Park. 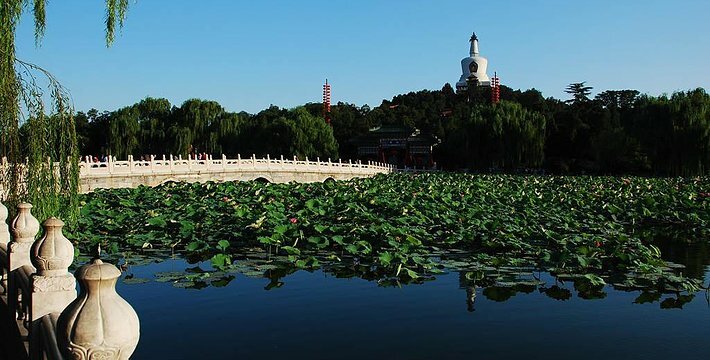 The park, with many of Chinese imperial gardens, was built to imitate renowned scenic spots and architecture from various regions of China. 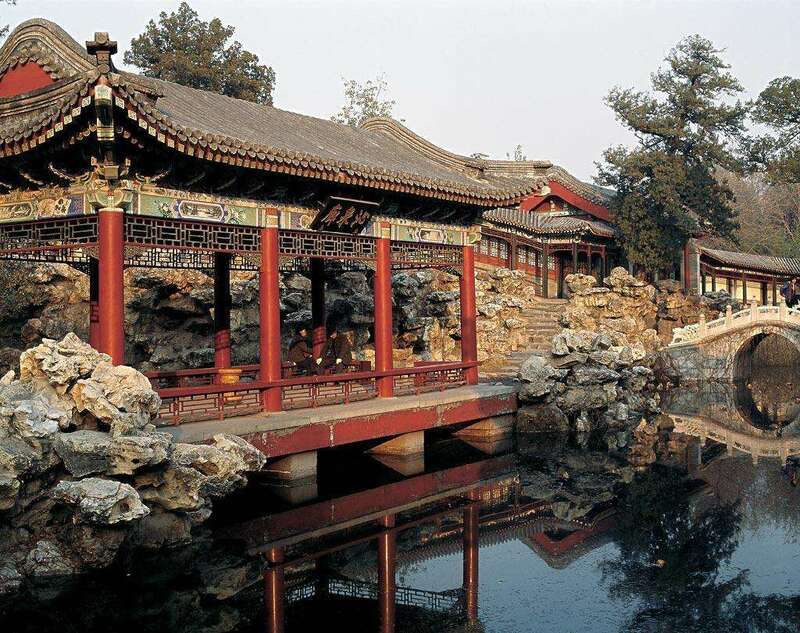 First built in the 11th century, it is among the largest of all Chinese gardens and contains numerous historically important structures, palaces, and temples. 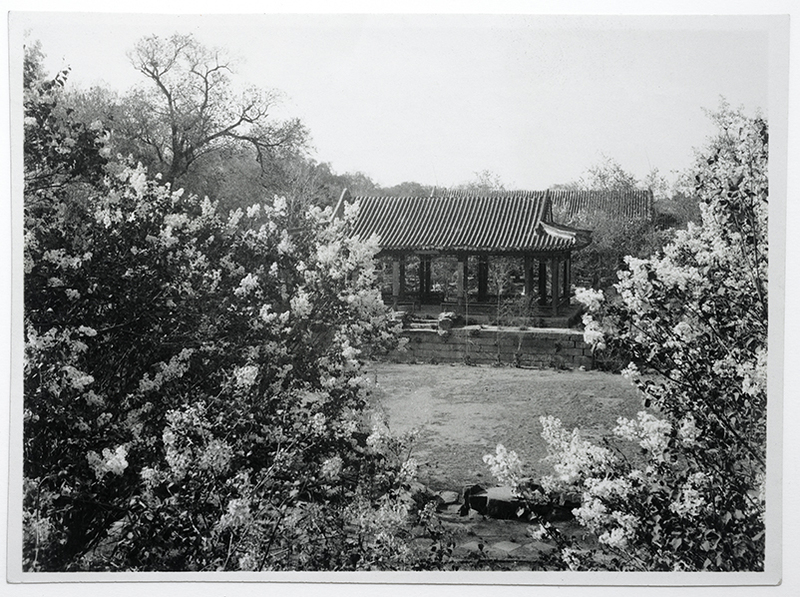 Since 1925, the place has been open to the public as a park. 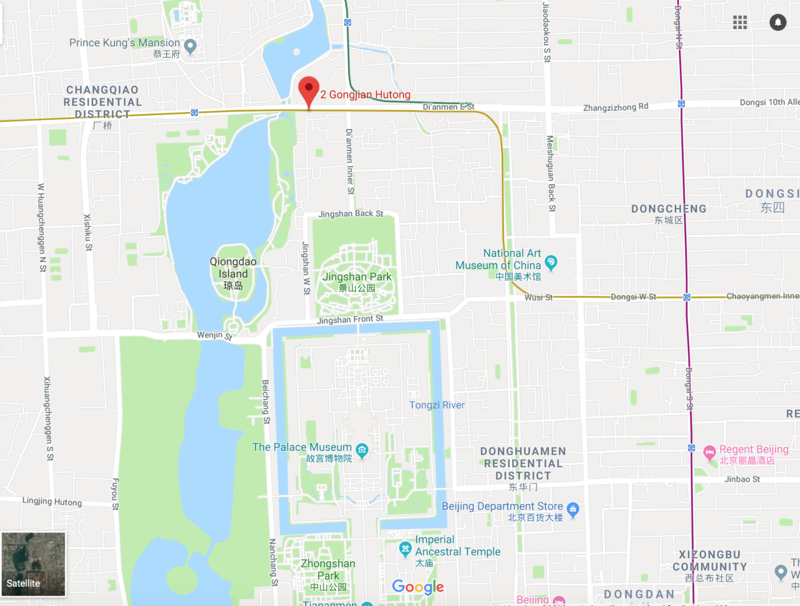 It is also connected at its northern end to the Shichahai. 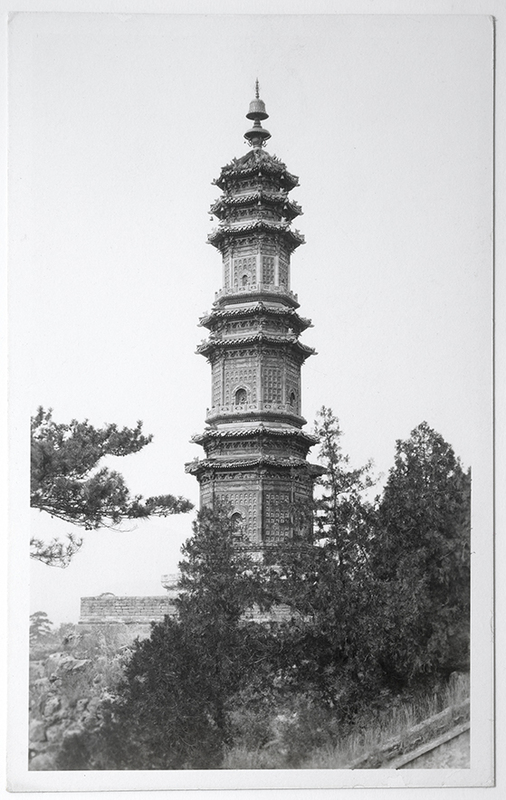 There are also some images recounting his trips to the temples on the Miao Feng Mountain, and to the Ming Tombs. 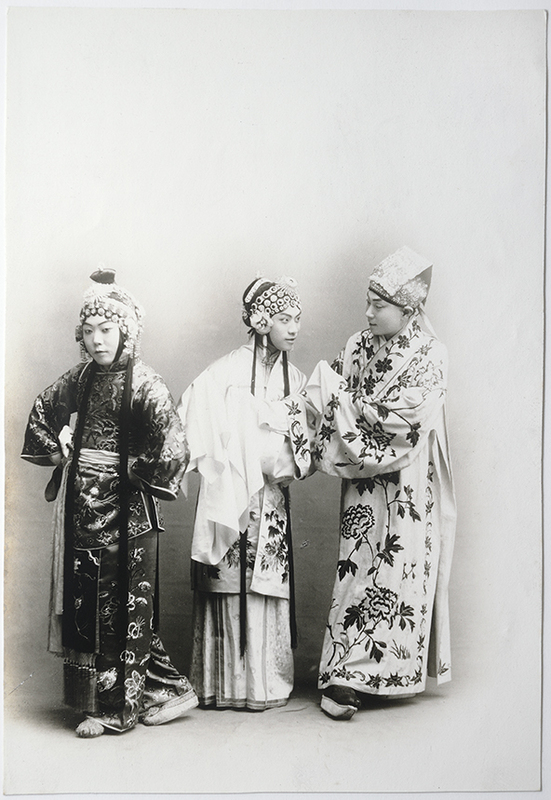 This is a semi-formal robe Jífú (吉服). 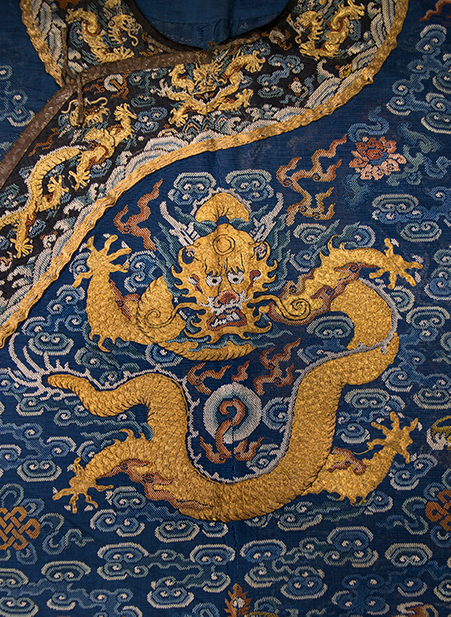 The name for this type of robe is “Mangpao” (蟒袍), “pao” means robe and “mang”(蟒) means serpentine, it indicates here the embroidered dragon. 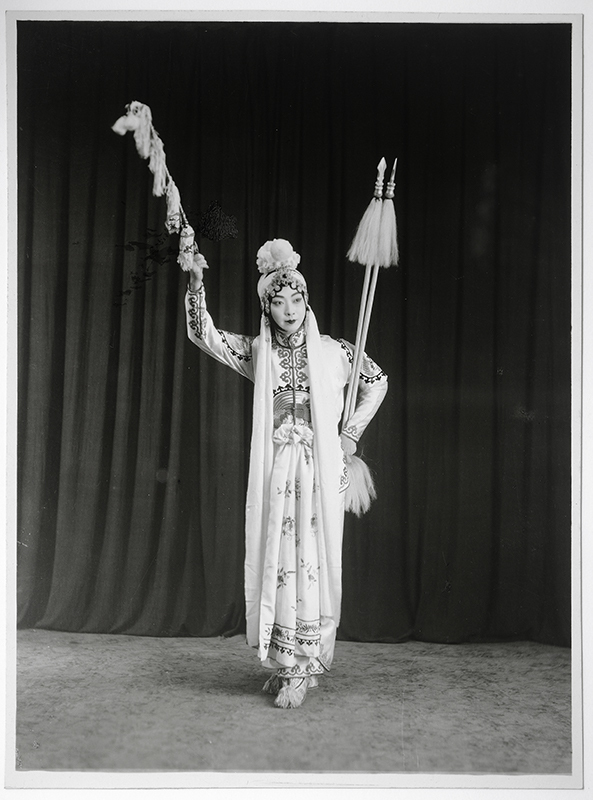 This robe is specially worn for festivals, celebration of birthdays or other auspicious occasions. 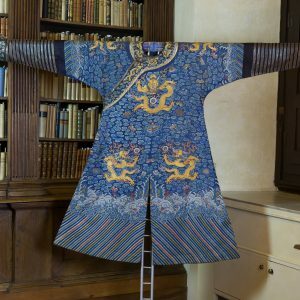 The color blue or indigo indicates that the robe originally could belong to an imperial official who is from the royal family or the imperial official who has the highest or second highest rank in the royal court. 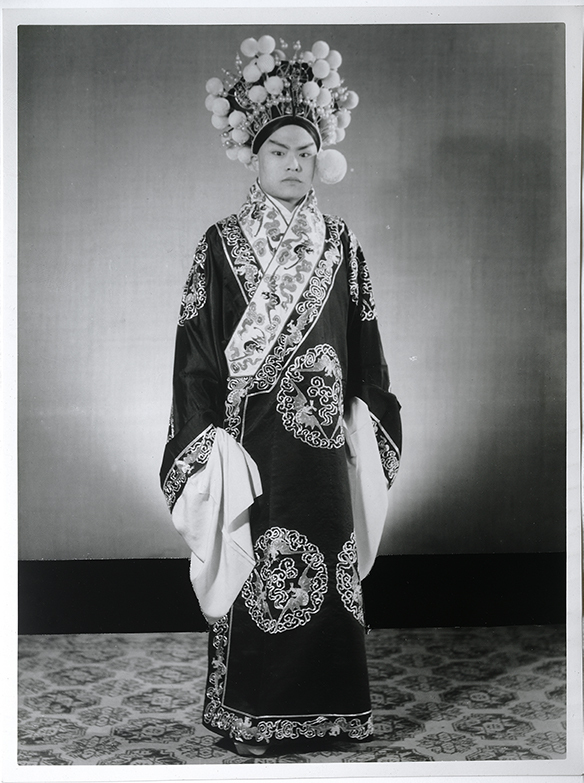 Usually they are only allowed to possess robes with four-claw dragons, because only the Emperor has the majesty to wear attires with five-claw dragons. 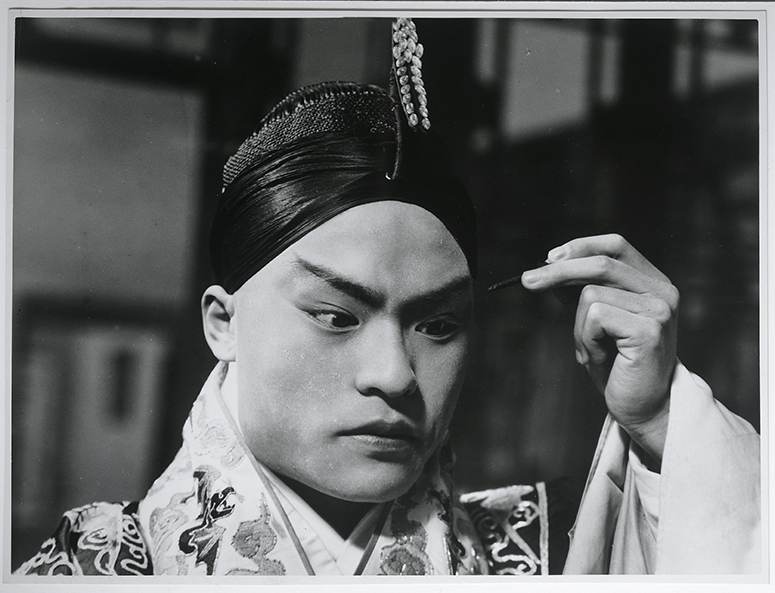 However, if bestowed by and only by the Emperor the special permission, the official (on either of the statuses stated above) could wear an attire with five-claw dragons. 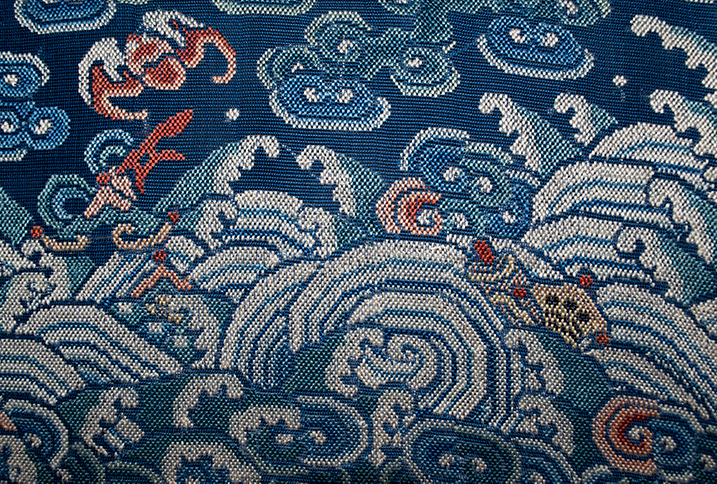 There are varied techniques applied on sewing different patterns on the robe. 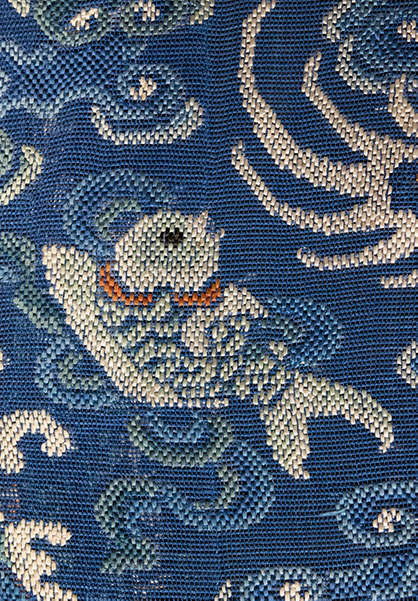 The technique for sewing the dragon is the most sophisticated. 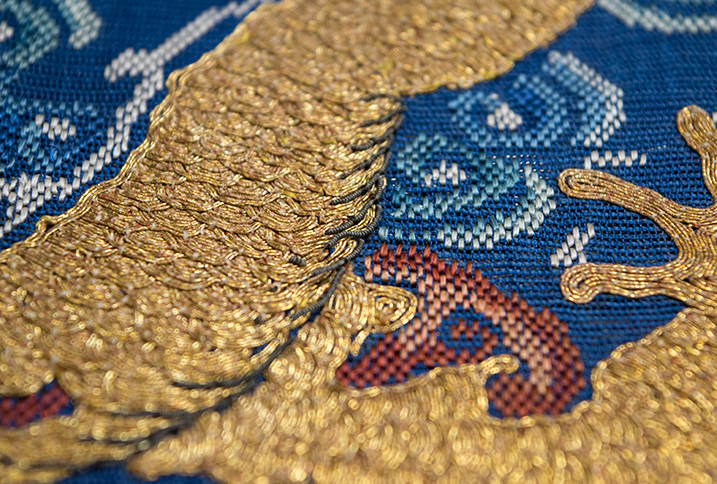 The body of the dragon is embroidered using the technique “diélínzhēn”(叠鳞针), which realistically imitates the dragon scales and creates the shiny and lively effect. 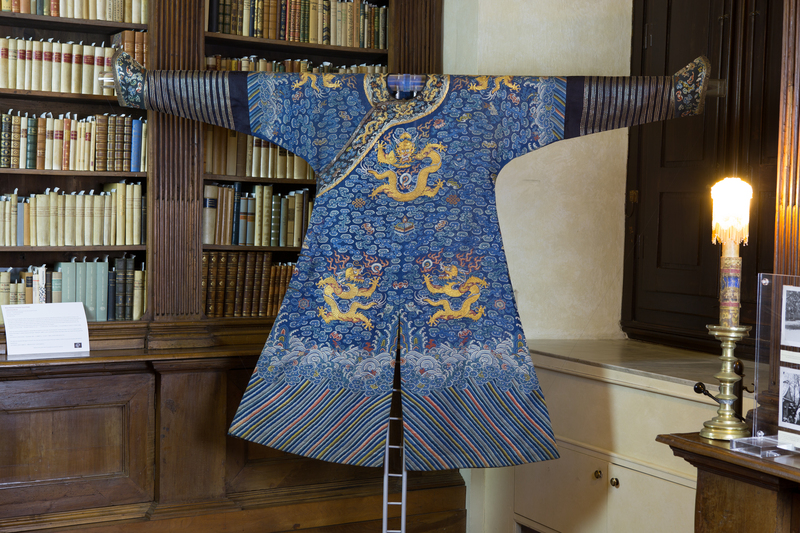 This robe most possibly belonged to Prince P’u Ru, who was one of the cousins of the last Emperor in China. 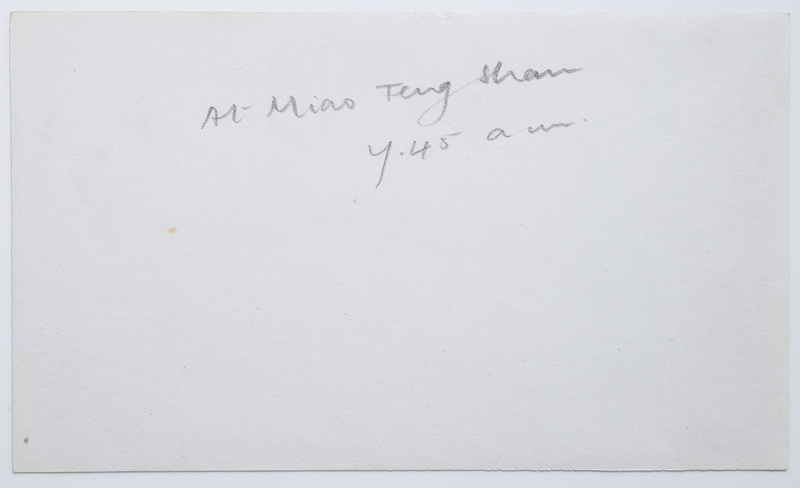 He was also a teacher and friend of Harold Acton. 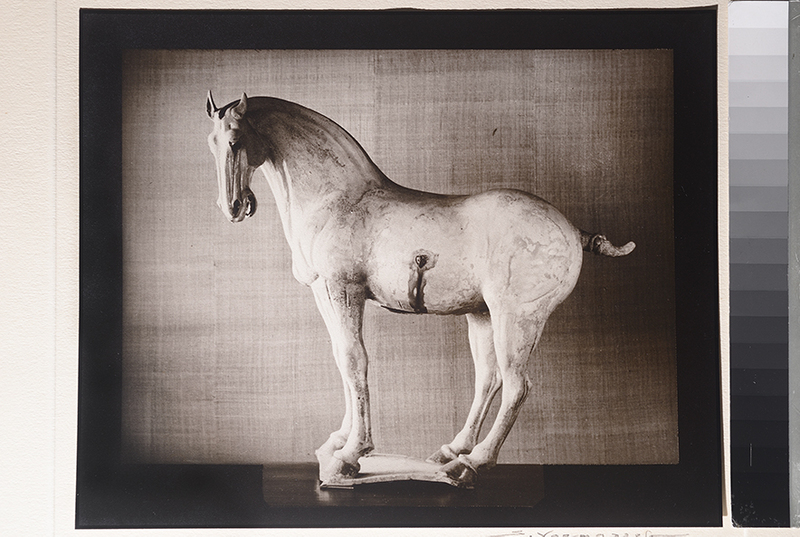 Documentary on the exhibition broadcasted on the Italian national television RAI 3 network, "L'uomo della Pietra", beginning at 4.45 min.